Mike Bass Music: Pics from Osaka! 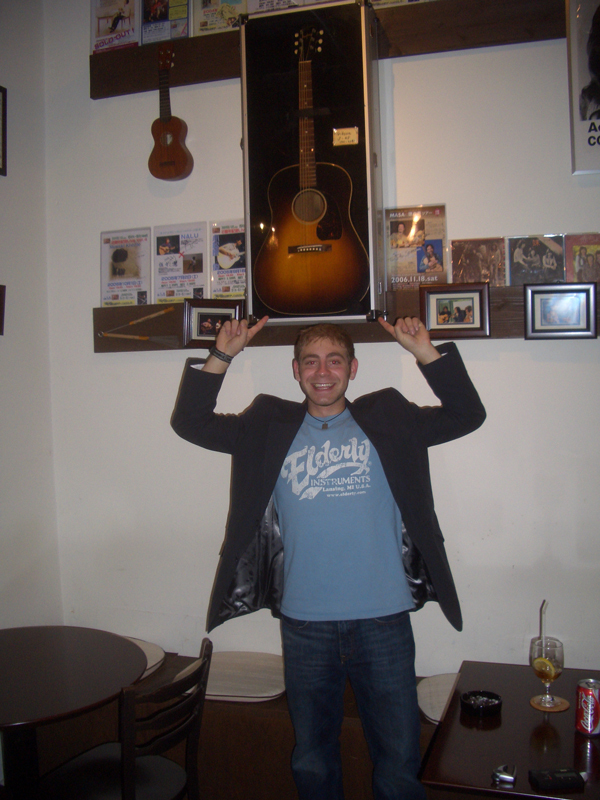 Here are some pics from my first gig in Osaka at the 5th Street Coffee House! 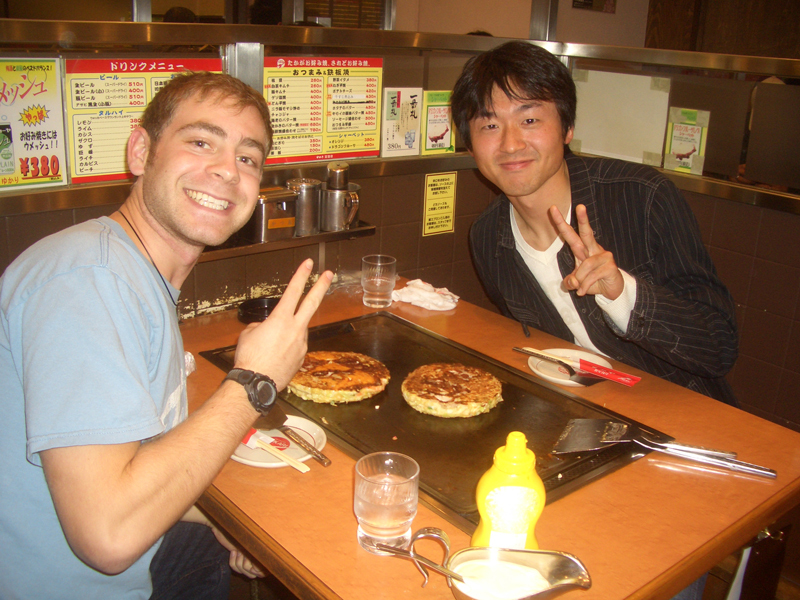 Before the gig, Yousuke took me to an Okonomiyaki restaurant, woohoo! Here are some loyal fans who came to the gig all the way from Nagahama and Takatuki, which is quite a train ride away. 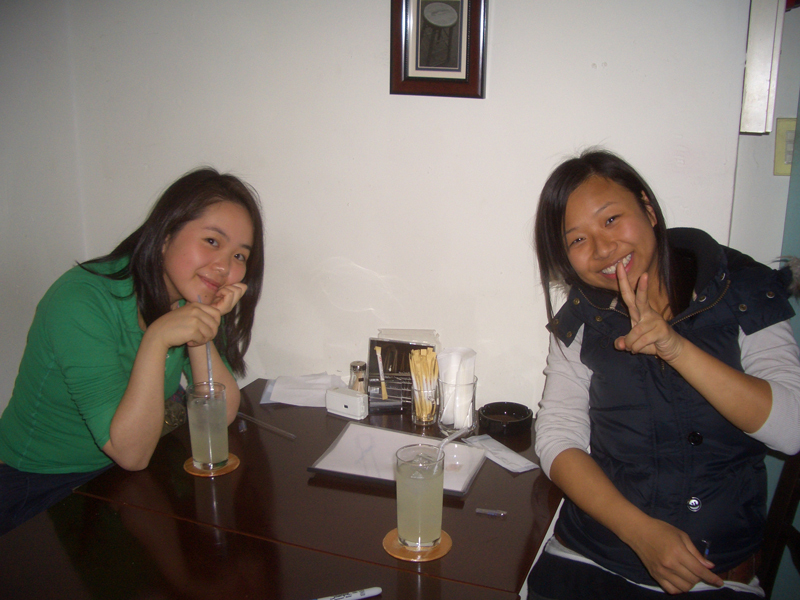 On the left is Christine Su, and on the right is Maggie 'Moo' Hon. Thanks ladies! 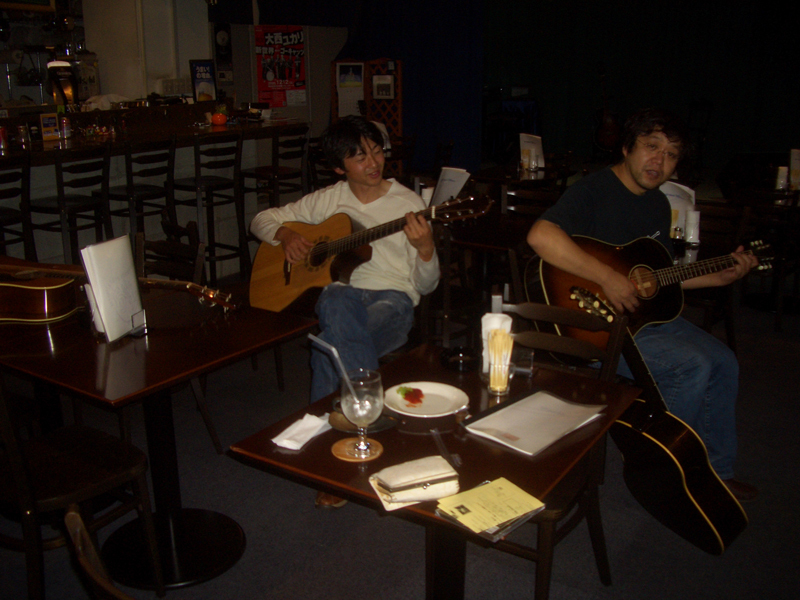 Here's Yousuke and I during the gig! 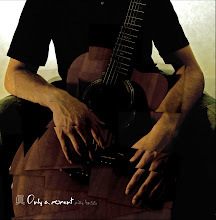 By the way, the guitar he's playing costs about $19,000. The owner of 5th Street Coffee House (who also owns the label that Yousuke is with) has a ton of amazing guitars on the walls, some of them signed by various individuals. He noticed my Elderly Instruments t-shirt, and then told me that he bought two of the guitars on the wall from Elderly via FAX! I couldn't believe it! 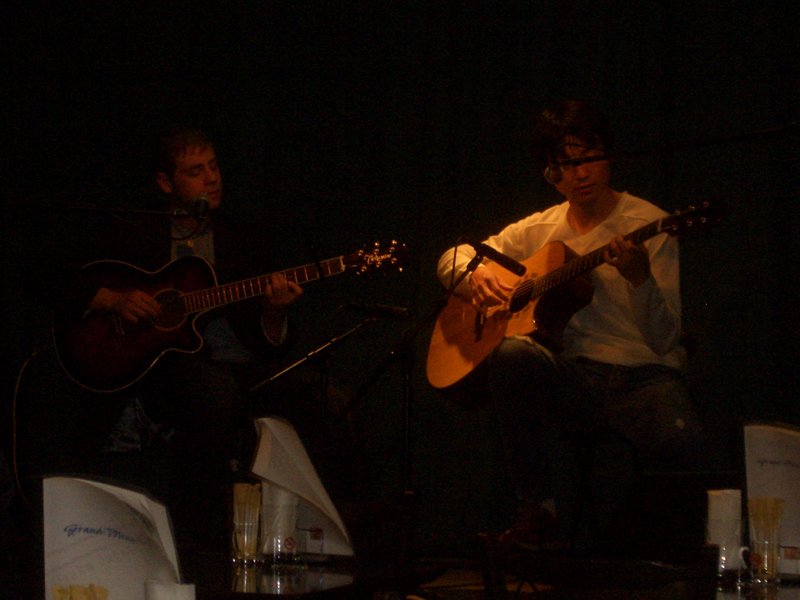 This guitar is a Martin from 1932...or 193~something! This is another guitar that he bought from Elderly. It's a Gibson from 1942 (apparently, the first year they started making guitars). It's extremely rare! 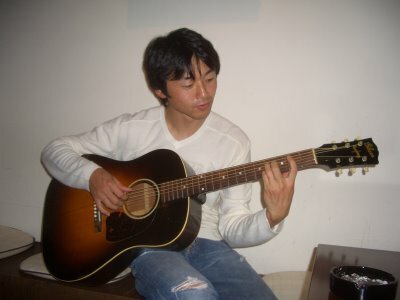 Here's Yousuke jammin' with the Gibson. He was so happy, haha! 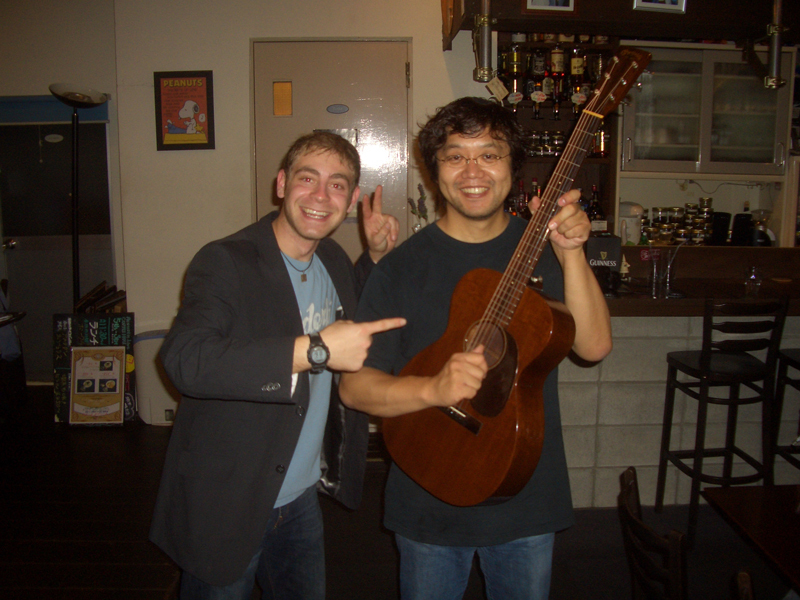 After the gig, and after everyone left, the owner let us take a bunch of the guitars down and we just jammed together for a while. It was great! 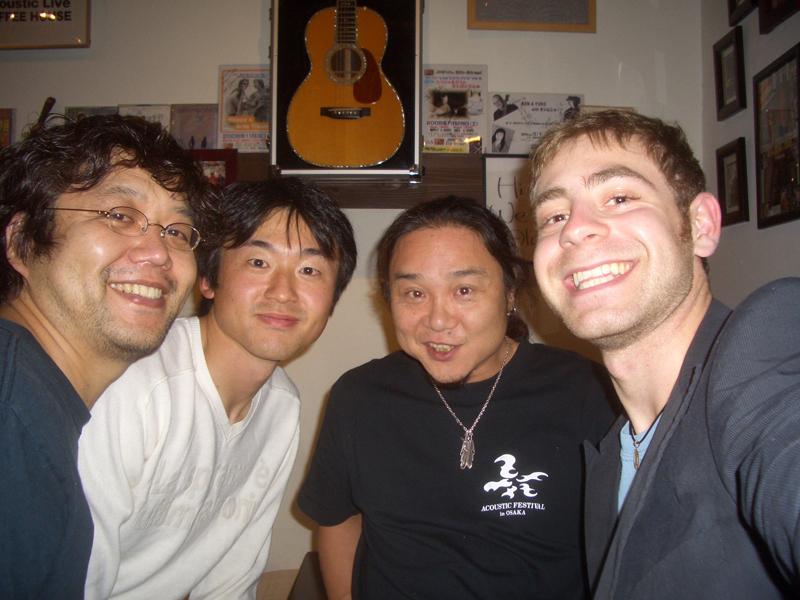 And here are the fab four (starting from the left): The owner of 5th Street, Yousuke Tago, the sound enigineer at 5th Street (who, by the way, is amazing, and even speaks a little English! ), and me.